Curt Demrow grew-up in the funeral business and is a 2nd generation funeral director. He is a 1996 graduate of Mid-America College of Funeral Service and holds his funeral director and embalmer's licenses. He has been in the funeral business since 1994 and at McKinney-Brown Funeral Home since March 2011. Curt is the Casey County Coroner and was also Deputy Coroner for 10 years in Lincoln County. He and his wife, Jaime, live in Liberty and have three daughters, Molly, Gracie, and Sophie. He enjoys UK Basketball, mowing his yard, and being with his girls. Curt is a member, trustee, and usher at Liberty First Baptist Church, the Masonic Lodge, and Oleika Shrine Temple. Curt also is a member of the Kentucky Mass Fatality Incident Response Team. Boyd Brown has been in the funeral business for several years. He began working at Bartle Funeral Home in 1962. He graduated from the Kentucky School of Mortuary Science in 1973 and holds his funeral director and embalmer’s license. He was also a 1962 graduate of Liberty High School. In 1973, Boyd began his career at what soon came to be known as McKinney-Brown Funeral Home. Boyd is a member of Walnut Hill Separate Baptist Church and he enjoys traveling, fishing, riding motorcycles, and spending time with his family, especially at their cabin. He is married to Judy Murphy Brown and has 3 children, Jamie, Lydia, and Ken. He also has 3 grandchildren. David McKinney grew up in the funeral business. He is the son of the late Bobby and Nell McKinney. David is the former co-owner of McKinney-Brown Funeral Home. He is married to Sheila Scott McKinney. He has two children, Brandon and Megan. David hauls gates and works part-time at the funeral home. He is a member of the First Christian Church and of the Casey County Sportsman Club. He enjoys traveling, working on his farm, and hanging out at the Village Restaurant. Bill Demrow started his funeral service career in 1965, working with Bill Fox in Stanford at the age of 14. He became a licensed Funeral Director and Embalmer in 1974, and with partner, Dan Barnett, purchased Barnett & Demrow Funeral Home in 1978, and later purchased Fox Funeral Home. Bill and his partners sold their funeral homes in 1997. In December 2014, Bill began working full-time at McKinney-Brown Funeral Home. Bill’s family includes his wife, Debbie Smallwood Demrow; one son, Curt Demrow (Jaime), who is the owner of McKinney-Brown Funeral Home; one daughter, Jenny Demrow Maloy (Jimmy); and five grandchildren, Molly, Aidan, Gracie, Brayli, and Sophie. Bill served for 26 years as Lincoln County Coroner and is currently a special Deputy Coroner for Casey County. 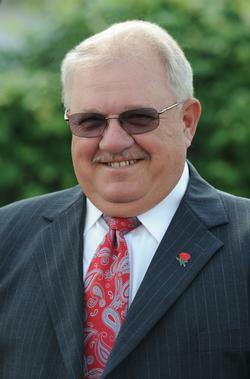 He is currently serving on the Kentucky Coroners Association Board of Directors, where he is a 3 time Past President. 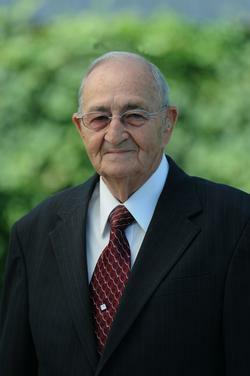 He was the 2007 Lincoln County Citizen of the Year presented by Lincoln County Chamber of Commerce, member of Waynesburg Masonic Lodge, former Chairman of the Board of Directors at Ephraim McDowell Fort Logan Hospital. Aaron Wade Cain grew up on a farm in the Brush Creek community of Casey County. He has been with McKinney-Brown Funeral Home since August 2014. Aaron obtained his Kentucky Funeral Director’s License in December 2016. He is also a licensed insurance agent in the State of Kentucky. Aaron is married to Jessica Watts Cain. He is the son of Bud and Kathy Hatter Cain. Aaron graduated from Casey County High School in 2011. He enjoys working on the family farm, fishing, and playing gospel music. Aaron is a member of Walnut Hill Separate Baptist Church. Trista Brown grew up in Somerset and has been involved in funeral service since 2013 and with McKinney-Brown Funeral Home since early 2017. She is a 2014 graduate of Pulaski County High School. She obtained her Associate of Arts Degree in 2016 from the John A. Gupton College in Nashville. Trista is a licensed Funeral Director and Embalmer in Kentucky. She is also a certified crematory operator and a licensed insurance agent in the State of Kentucky. Trista is the daughter of Tim and Tabitha Brown, who reside in Science Hill. She is the granddaughter of Marvin and Patricia Lee, Willie “Tip” Brown, and Steve & Renita Roach, all of whom reside in Casey County. Trista enjoys photography, spending time at the lake, and showing Tennessee Walking Horses. Lowell Allen is a Casey County native. He has been a licensed Funeral Director since 1991. He is a US Army and Navy veteran. He enjoys square dancing, camping, and working in his yard. He is the widower of Louise Brown Allen. He has 2 sons, Bryan Allen and the late Steve Allen. He has 7 grandchildren and 6 great-grandchildren. Nick Turner has been working full-time at McKinney-Brown Funeral Home since June 1, 2016. He is married to Josie Yaden Turner. Nick is the son of Charlie and Carla Wesley Turner. He is serving his apprenticeship to become a Licensed Funeral Director and Embalmer. He is also a certified Fireman for the Liberty FD. He enjoys fishing, frog gigging, and collecting records. Nick is often referred to by his nickname, Pickle. Deanna Hubbard Floyd grew up in Kings Mountain. She is the daughter of Lola Jenkins Hubbard and the late Charles “Hub” Hubbard. Deanna is married to Jimmy Floyd and they live in Casey County on Fishing Creek Road. She has 4 children, Martin, twins, Marla and Melinda, and Megan. She also has 3 grandchildren. Deanna enjoys quilting, reading, drawing, and her horses. Deanna has been helping families by working in the funeral business for the last 5 ½ years and she started at McKinney-Brown Funeral Home in October 2011. Roger Weddle began working at McKinney-Brown Funeral Home in January 2015. Roger retired after 25 years in Law Enforcement. Roger is married to Judy Delp Weddle and they have 2 children, Chad and Jeania. Roger has 5 grandchildren, Madison, Dalton, Carlie, Anna, and Wesley. Roger is a member of the Creston Missionary Baptist Church. He enjoys hunting, fishing, and spending time with his family. Gary Terry is a Casey County native. He is married to Jeannette Christian Terry and together they have three children, Gary T. Terry, Kathryn Terry Leigh, and Jennifer Terry. He has four grandchildren and one great grandson. Gary started working at McKinney-Brown Funeral Home as an ambassador in March 2017. He is a retired employee of the Casey County Bank, where he worked for 29 years. Gary is a member of the West Side Christian Church in Liberty. Gary enjoys bass fishing and collecting CASE pocket knives. Phylis “Kay” Emerson Baxter was born and raised in the Mt. Olive Community in Casey County. 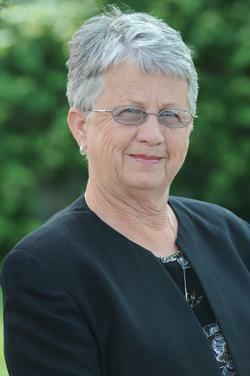 She is a 1966 Casey County High School Graduate. Kay is the widow of Charles Baxter. Kay has been working as an ambassador at McKinney-Brown Funeral Home since July 2015. 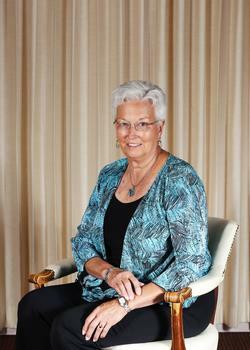 She enjoys quilting, reading books, and spending time with her grandchildren, Gared, Gage, Ella, and Maggie. Kay is a member of the McCormick’s Christian Church in Moreland. Barry Walls has worked in the funeral business since he was 22 years old. He worked at the funeral home in Waynesburg for 16 years, then worked for Wilbert Vault Company for almost 9 years, and has been with McKinney-Brown Funeral Home since January 2012. Barry is married to Gail Dishon Walls and together they have 2 children, Joe and Megan. He also has a granddaughter, Emma. Barry enjoys being with his family, a good laugh, and playing music. 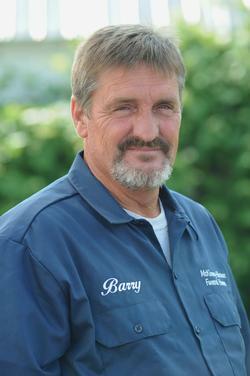 Barry has many jobs at McKinney-Brown Funeral Home, but most importantly he takes pride in overseeing all the grave work. Vernon is a Casey County native. 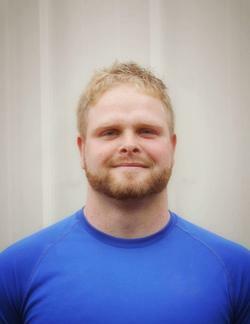 He is married to Abby Blevins Pittman and together they have two sons, Skyler and Lucas. He is the son of Vernon Pittman, Sr. and his wife Connie. Vernon is a 2006 Casey County High School Graduate. He previously worked for Green River Builders before joining McKinney-Brown Funeral Home in November 2016. Vernon will work on the cemetery and monument staff for McKinney-Brown Funeral Home. Vernon enjoys hunting, fishing, and riding his 4-wheeler and Jeep. Lucille Lee Bryant is a Casey County native and the widow of Ray Bryant. She is a member of Bethlehem United Methodist Church and has been cleaning at McKinney-Brown Funeral Home since 2013. Lucille has one son, Danny; two grandsons, Chris and Justin; and two great-granddaughters, Faith and Lilly. She enjoys traveling, gardening, and spending time with her family. Imogene Allen is a Casey County native and the spouse of Dale Allen. She began cleaning at McKinney-Brown Funeral Home in 2017. She is a member of Bethlehem United Methodist Church. Imogene has one son, Barron D. Allen; and two granddaughters, Abigail and Madison. Imogene enjoys reading and participating in church activities. She is the sister of Lucille Bryant, who also cleans at McKinney-Brown Funeral Home.